According to an array of surveys, it has been deduced that while you’re giving a presentation, your colleagues are often checking-up their emails, text messages or using their smartphones or laptops. Holding the attention of your audience is not as easy as it seems. A random guy walking into a conference room and starting straight away with his or her presentation and explaining points mentioned in slide number ‘X’ doesn’t make any sense. Do you know that millions of hours are getting wasted on regular basis for creating PowerPoint presentations? From compelling the audience to advancing the goals, people are pulling every resource without emphasizing much on ‘How to make your audience a part of your story?’. Creating PowerPoint presentations is, of course, a great idea to share your ideas with masses. Be it your C-Level audience or even your mentor or fellows in a school, pointing out the key points while keeping a reality check on the agenda is necessary. You might consider creating a slideshow with important data backed by bullet points. But, what good is it for if it can’t even engage the viewers? Spending your precious time as well as energy into making a presentation is of no use if you are making boring presentations at the end. In this article, we will talk about the points that might come handy when it comes to making your presentation session interactive, responsive as well as fruitful while taking advantage of presentation templates to save time. It can be said that not everybody present in the conference room is in a great mood. What comes as a fascinating fact is that, an icebreaker can energize the people around and can also rest down their mood to the same level. You might consider asking your audience to do a simple exercise or something else. What’s the benefit? For the purpose of resetting their minds and making them focus on what you say, breaking the ice surely comes handy. Asking the people standing up and introducing themselves or even what they already know about the topic which is being presented will do the job. Generating the participation is of utmost importance and this method can help you achieve that in no time. Rather than just flipping or scrolling through ‘N’ number of presentations, you must strive to establish a relationship amidst the big picture which you aim for & your ideas respectively. You can also let your audience drive the presentation by laying out key points or even, asking them which topic they wish to be discussed with others. For this purpose, modern 3D PowerPoint templates can help to grab the audience attention in an innovative way. Providing your viewers with a customized view of your presentation can surely move mountains for both, you & your business goals. Non-linear storytelling literally eradicates boredom from the conference hall. Why? Well, as an audience, you would never know what next might come and allure you! What comes as an important fact is that the attention of your audience drops significantly just after the 10 minutes of getting into a session. For obvious reasons, humans start exploring their virtual world when they are not interested in something in which they’re made to sit. Taking small breaks in between your presentation can be your state of the art pick to maintain interest. Asking questions from your audience can be of great worth. Nothing in this world can incorporate humans into something until and unless questions are asked and answers are given. Therefore, you might simply increase the degree of interactivity by implementing this method. Looking forward to engaging directly with your audience instantly? Well, you should consider polling. There are plenty of tools available to conduct online polls, but you would be delighted to know that polling not only makes your audience use their brain but also empowers them with an answer of their own. In other words, polling can help in creating virtual mental breaks. The guy with no interest in the topic might actually start thinking about the points and eventually come up with a viewpoint. Thus, from that point onwards, he might start taking the much-needed interest and certainly increase your presentation’s productiveness. Including everybody in the process also creates a fruitful user experience which is a great ingredient for success. Helping the audience remain focused as well as letting you regain the attention, can be achieved by polling. Thus, without switching any application or screens, you are directly establishing a connection between you & your viewers. When we talk about C-Level presentations, it can be said that creating an impact on your peers and leaders from diverse parts of the industry is vital. Well, an ordinary presentation is only a one-way communication. When it comes to establishing a connection with your audience, you can consider including only key points in your presentation. You might also consider giving printed copies of key points before the presentation. Let your audience get acquainted with them, this will settle the dust & will put everybody on the same edge. Gathering consensus of inputs from your viewers can do wonders for you. In short, facilitating a discussion can only be achieved if you truly enrol your audience with your content. Otherwise, you might end up with another ordinary presentation. Converting a flat topic into an innovative one is highly possible with the help of ready-made PowerPoint presentation templates. 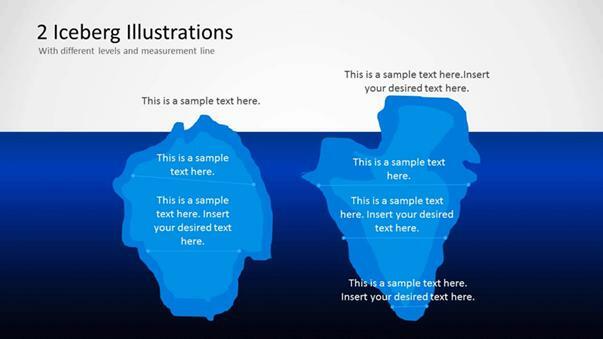 Slide design is as important as the presentation content. Literally, everybody has a hard time looking at the spreadsheets or the bullet points in the presentations. Therefore, instead of creating a boredom for your audience, you must consider including appealing templates. This would not only make the ordinary statistical data look appealing, but it will also your presentation break the stereotypes in the conference hall. Hence, asking rhetorical questions backed by polling or ended questions can surely turn most ordinary of a topic into an interesting one. What we are trying to say is, you must try making your audience feel that they are active participants in your endeavors. Provide them with a sense of ownership, your presentation will flourish.